Forget-me-nots are pretty little plants, but beware. This innocent-looking little plant has the potential to overcome other plants in your garden and threaten native plants beyond your fences. Once it escapes its boundaries, controlling forget-me-not plants can become a major challenge. 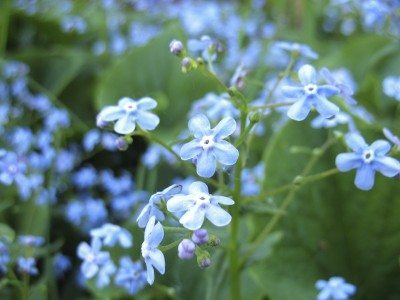 Forget-me-nots grow like wildfire in shady, moist areas, fields, meadows, woodlands and coastal forests. The simple answer to this question is yes. Forget-me-not is native to Africa and was introduced to American gardens for its beauty and simplicity. However, like many introduced species (also known as exotic plants), forget-me-nots lack natural checks and balances, including diseases and pests that keep native plants in their place. Without natural biological controls, the plants are likely to become troublesome and unforgettable – forget-me-not weeds. In severe cases, invasive plants can out-compete naturally native growth and disrupt a healthy biodiversity. Forget-me-not is on the invasive plant list in several states. Forget-me-not control may be necessary to keep the plant in check. Forget-me-nots are easy to pull, or you can remove them by hoeing or cultivating the soil. This is a good way to control small numbers of forget-me-nots. However, the plants will soon resprout if you don’t remove every bit of the roots. Be sure to pull or hoe the plants before they go to seed, as forget-me-nots spread by seeds and by strawberry-like stolons that root at the leaf nodes. 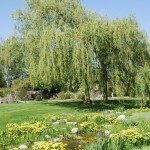 Herbicides should always be a last resort for home gardeners, but chemical control may be needed if forget-me-not weeds are badly out of control or if the weed patch is large. Products containing Glyphosate may be effective against forget-me-nots. Read the label carefully and use the product strictly according to manufacturer recommendations. Although Glyphosate is widely used and tends to be somewhat safer than many other herbicides, it is still highly toxic. Be sure to store Glyphosate and all chemicals safely out of reach of pets and children.